The High Accuracy Pi RTC is based on the clock chip DS3231, the DS3231 is a low-cost, extremely accurate I2C realtime clock (RTC). 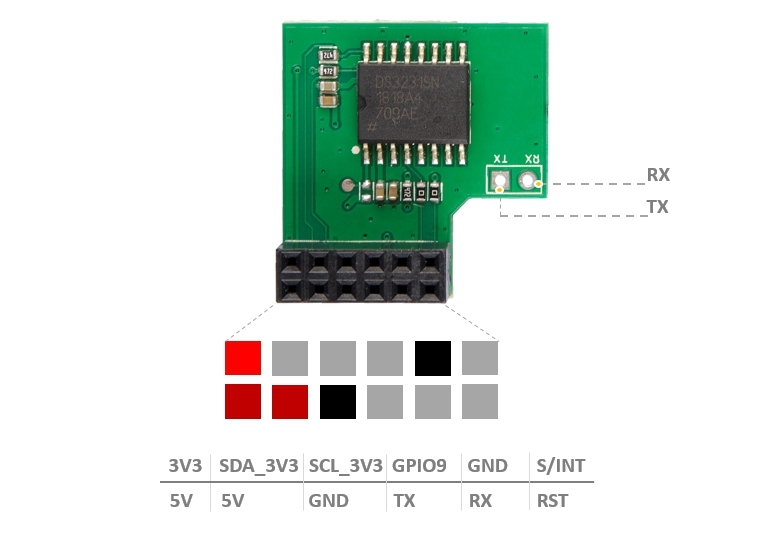 It can provide a real-time clock(RTC) for raspberry pi via the UART interface. 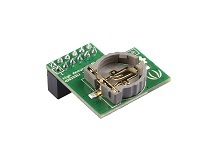 With the clock source from the TCXO(temperaturecompensated crystal oscillator), the RTC provides seconds, minutes, hours, day, date, month, and year information. The date at the end of the month is automatically adjusted for months with fewer than 31 days, including corrections for leap year.The clock operates in either the 24-hour or 12-hour format with an AM/PM indicator. The clock provides two programmable time-of-day alarms and a programmable square-wave output. The INT/SQW pin either generates an interrupt due to alarm condition or outputs a square-wave signal and the selection is controlled by the bit INTCN. 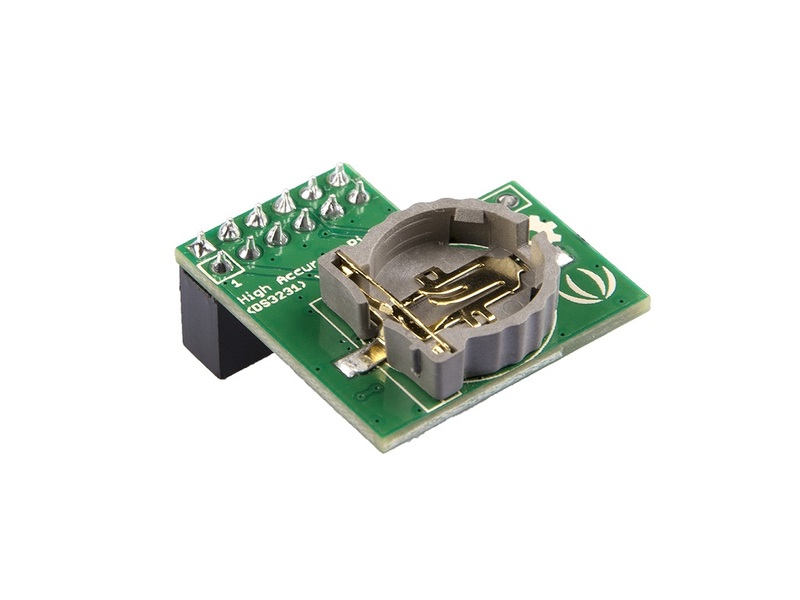 If you want to keep this module timing when the Raspberry Pi is powered off, you need to put a 3-Volt CR1225 lithium cell in the battery-holder. 1- The chip itself supports the alarm function, we also reserved the relevant hardware interface, but our software library does not include this function(S/INT pin), you need to carry out related software development. 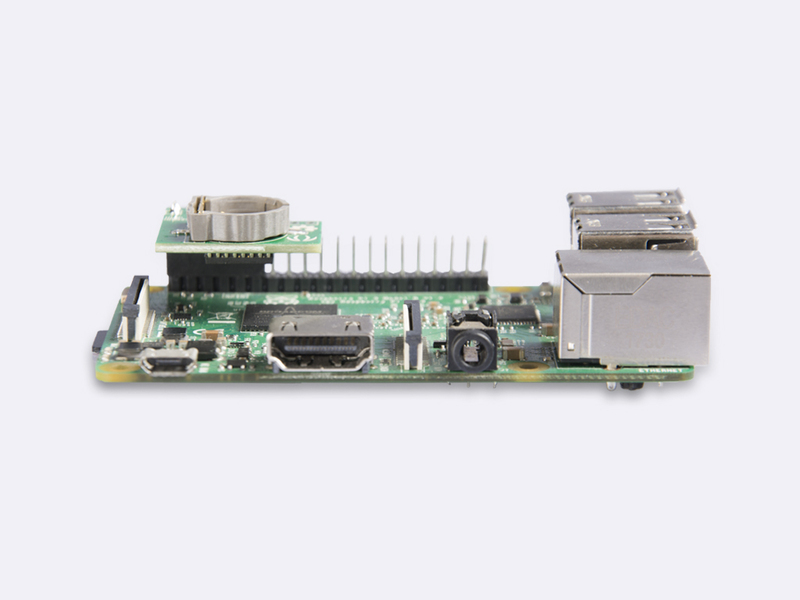 2- RX/TX is not used in this module, but the 6x2 header takes up the RX/TX pin of the Raspberry Pi, so we bring the RX/TX out and come with a 2pin header.